Edelman Leather: THE brand of luxury leathers for interiors, serving the high-end residential, contract, hospitality, aviation and marine markets. “We are leather, leather is in our DNA”. Beginning in the 1950s, Teddy and Arthur Edelman created works of art from exotic skins, taking over and building the family business. In 1964, with their friend Andy Warhol doing graphic design, the Edelman’s became the award-winning, leading leather source for the fashion industry. In 1981, they launched Edelman Leather, focused on high-end upholstery. Teddy & Arthur unlocked leather’s possibilities by blending time-honored craft tradition with a bold artistic vision. The spirit of Edelman is one of devotion, craftsmanship, and service: Devotion to quality, artisanal craftsmanship preserved and handed down for generations, and conscientious service to meet the needs and inspirations of the global design community. Edelman Leather’s full line of leather products for upholstery are available for purchase here at #1 Fabric Co. Call 877-FAB-2-YOU for your best buy price on any current Edelman pattern. Or fill out the price quote form for an email quote on any fabric in the entire Edelman Leather line up. 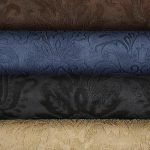 Edelman Leather for the home or company are discounted for purchase here at #1 Fabric Co. 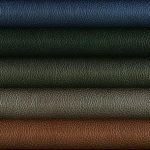 The #1 Fabric Co dealer outlet offers all of Edelman Leathers at near wholesale discount prices. Are you looking for a specific pattern from Edelman Leather? 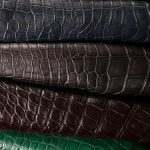 All Edelman Leathers are available for purchase through #1 Fabric Co.
#1 Fabric Co makes decorating with designers like Edelman Leather affordable. Buy the same decorator textiles the professional interior designers buy at the lowest possible sale prices. Note: Our fabric selections are NOT factory seconds, over-stock, remnants or discontinued fabric. Your pricing from #1 Fabric store will be on a new, current, first-run Edelman leather at the lowest possible price.